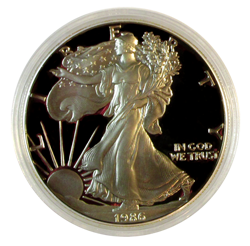 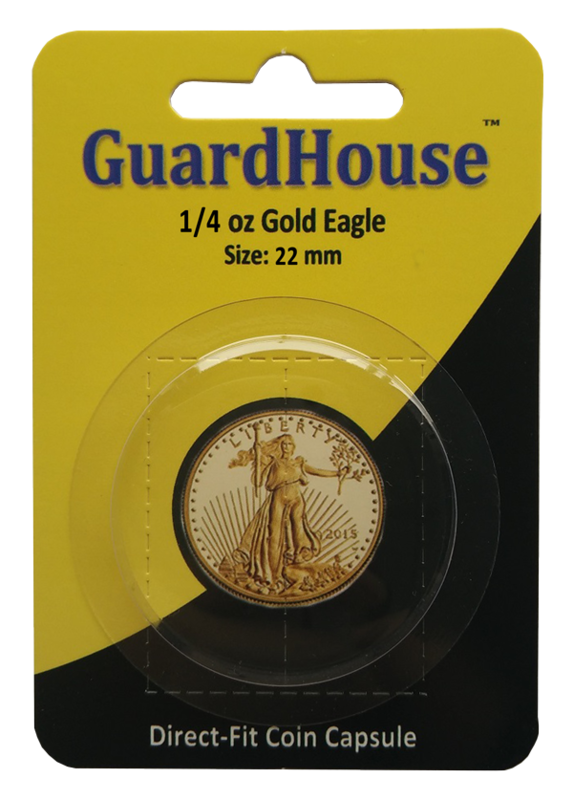 Crystal clear acrylic coin capsules to preserve and protect United States Gold Eagle coins. 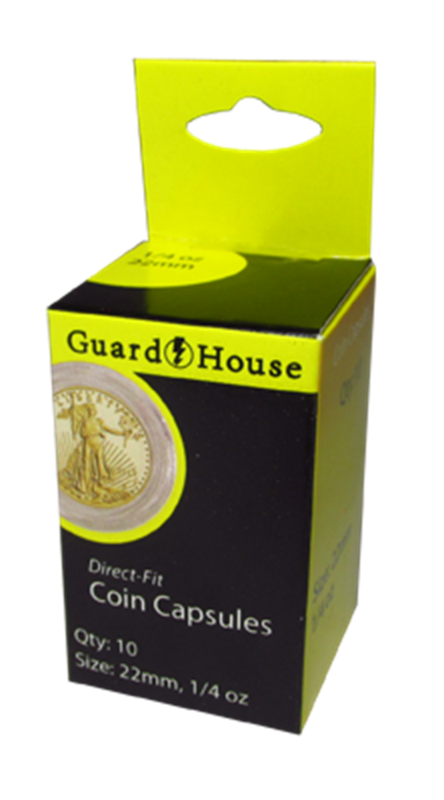 Each package contains 10 capsules.Guardhouse gold coin capsules are a reliable way to store your incredibly valuable gold coins. 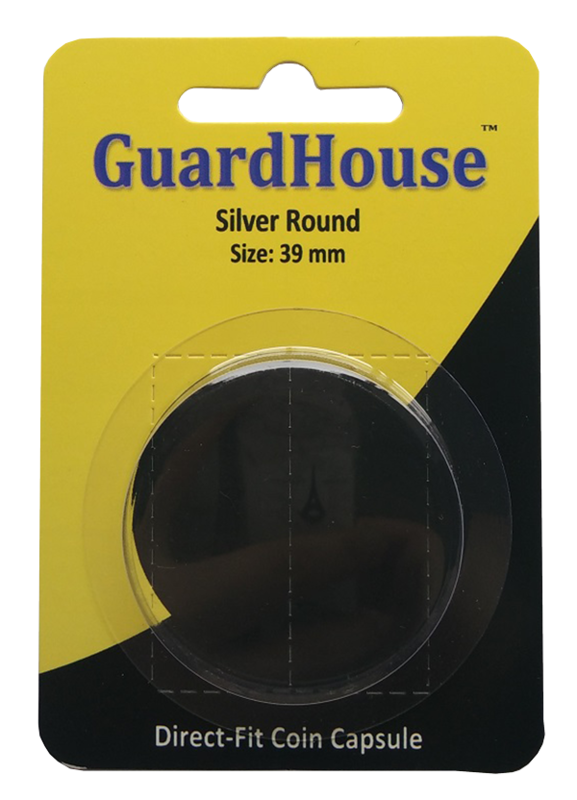 Best not skimp out on quality protection. 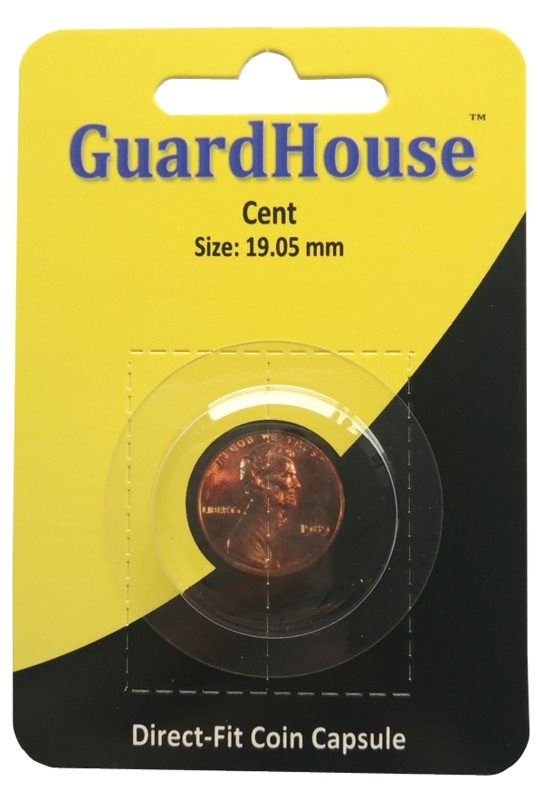 Rely on Guardhouse. 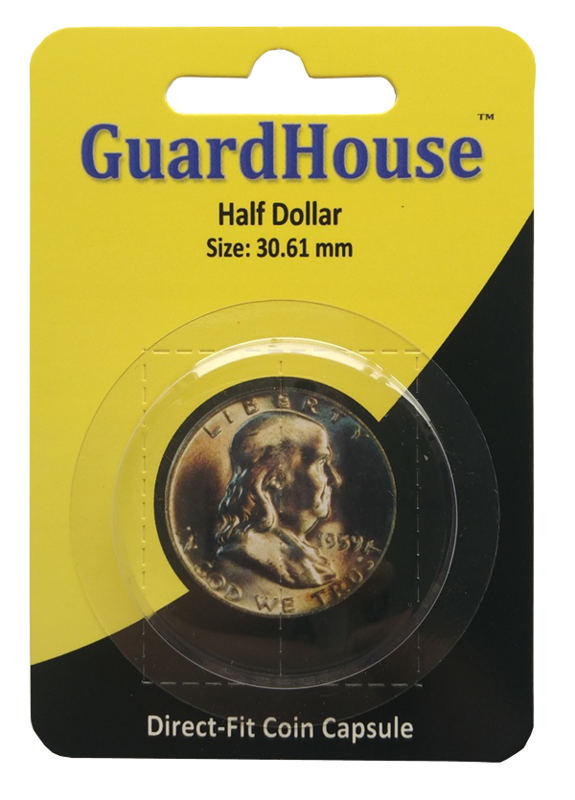 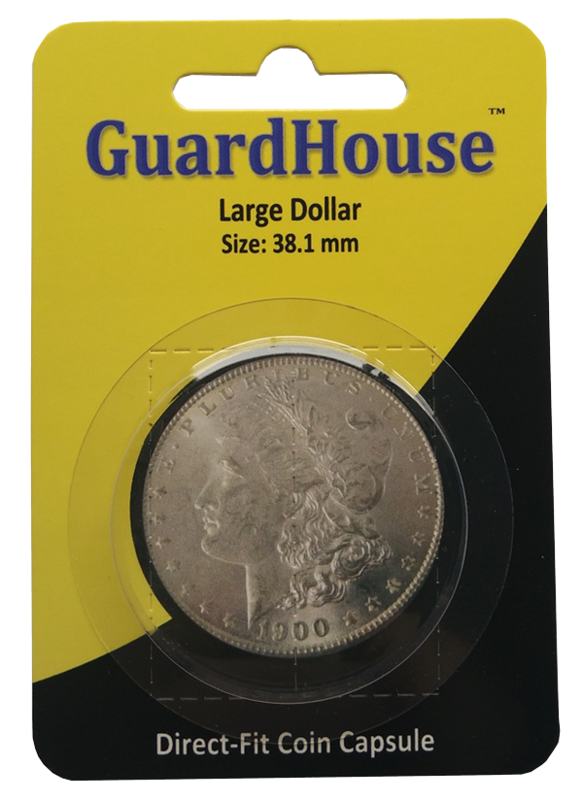 Cent Size Guardhouse Coin Capsule 19 mm (Small Diameter) Model Size Color Pack Qty 091037816061 19mm (S) Clear 50 All new retail friendly size.19mm Direct Fit 50 packs for cents and pennies with small size exterior diameter coin capsules. 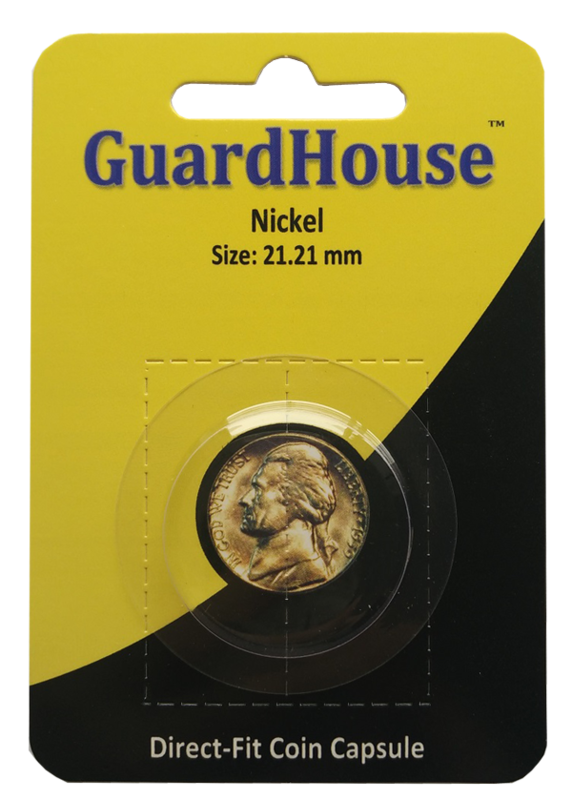 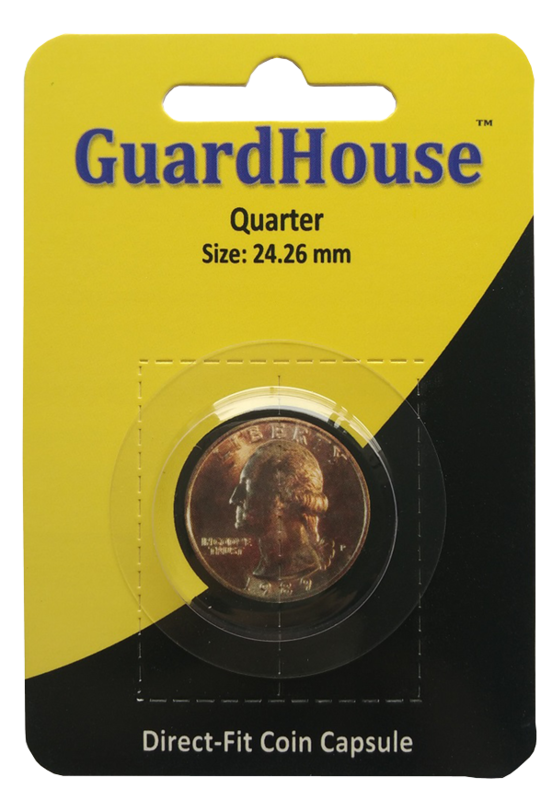 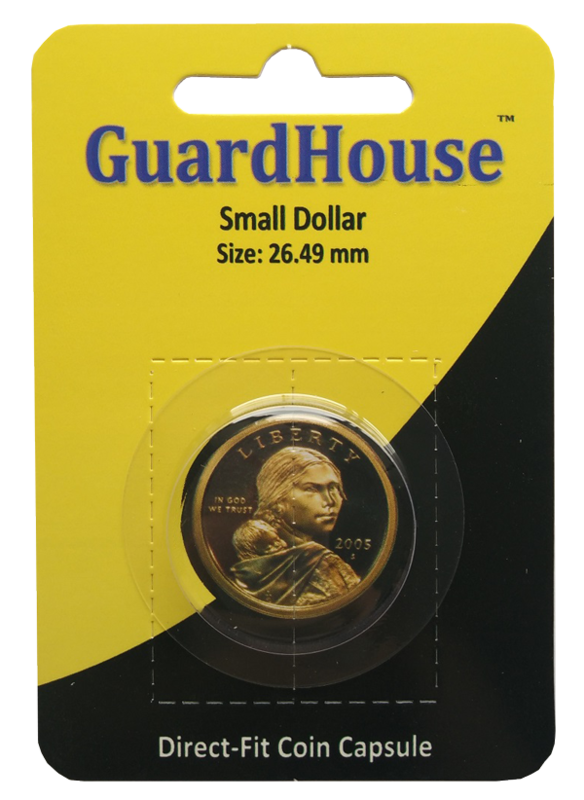 Nickel Size Guardhouse Coin Capsule 22 mm (Small Diameter) Model Size Color Pack Qty 091037816078 21.2mm (S) Clear 50 All new retail friendly size.21.2mm Direct Fit 50 packs for nickels with small size exterior diameter coin capsules. 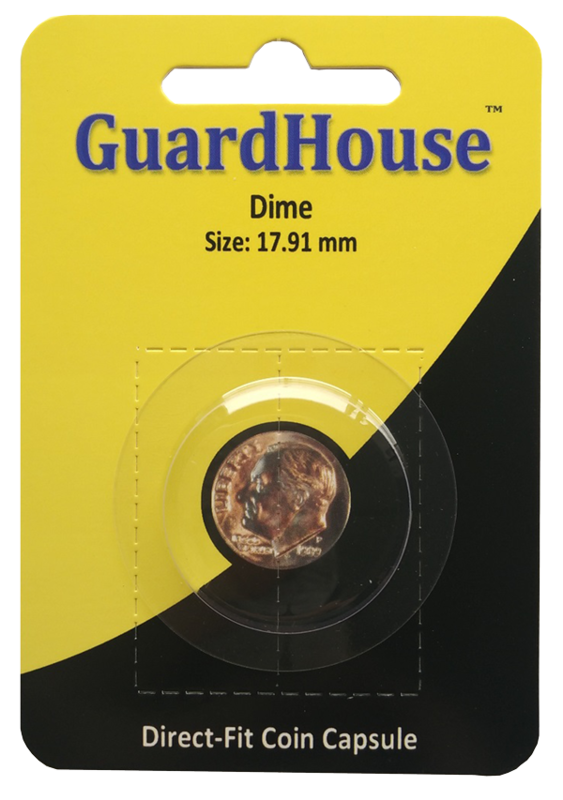 Dime Size Guardhouse Coin Capsule 18 mm (Small Diameter) Model Size Color Pack Qty 091037816054 17.9mm (S) Clear 50 All new retail friendly size.18mm Direct Fit 50 packs for dimes with small size (S) exterior diameter coin capsules. 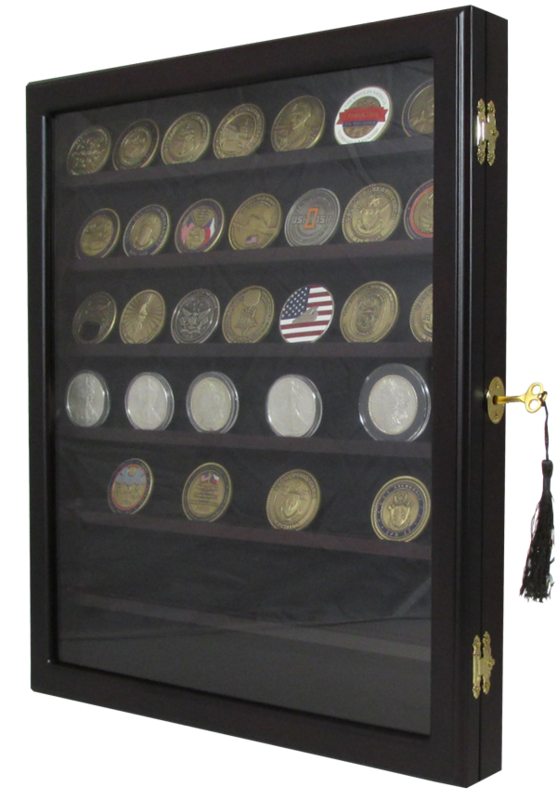 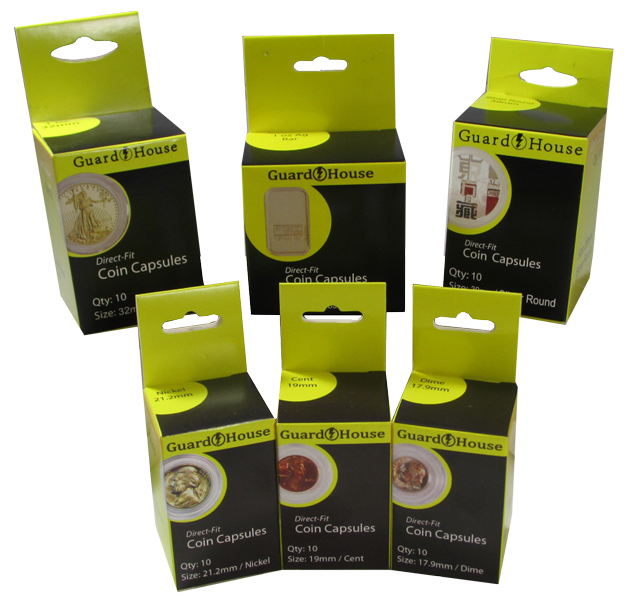 For your coin collection, Coin Supply Express offers round coin holders from the most popular brands of coin capsules: Guardhouse and Air-Tite. 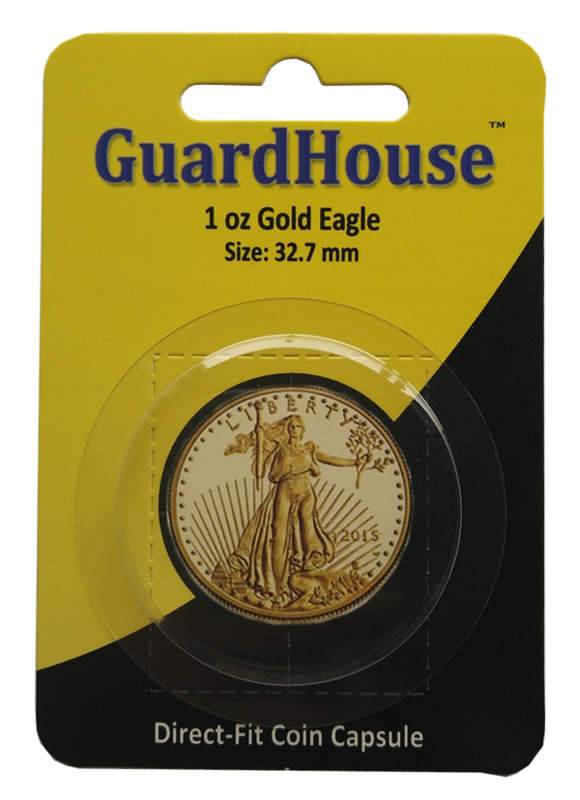 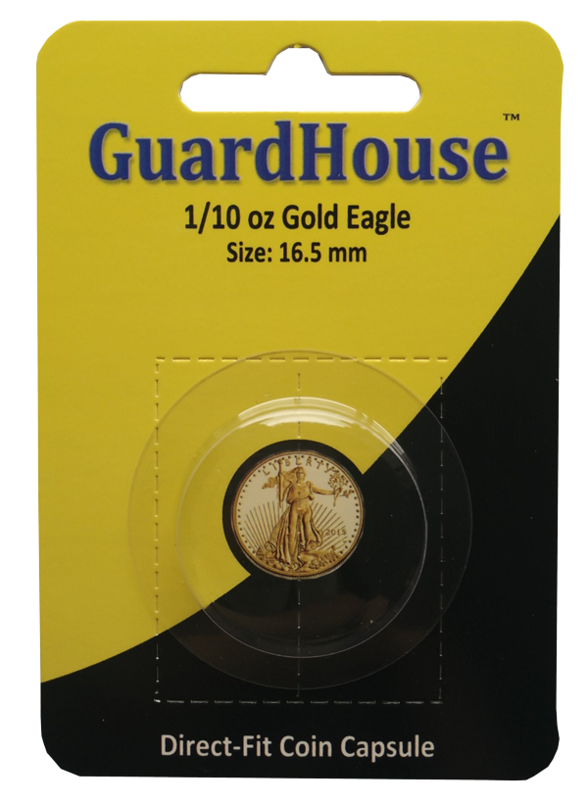 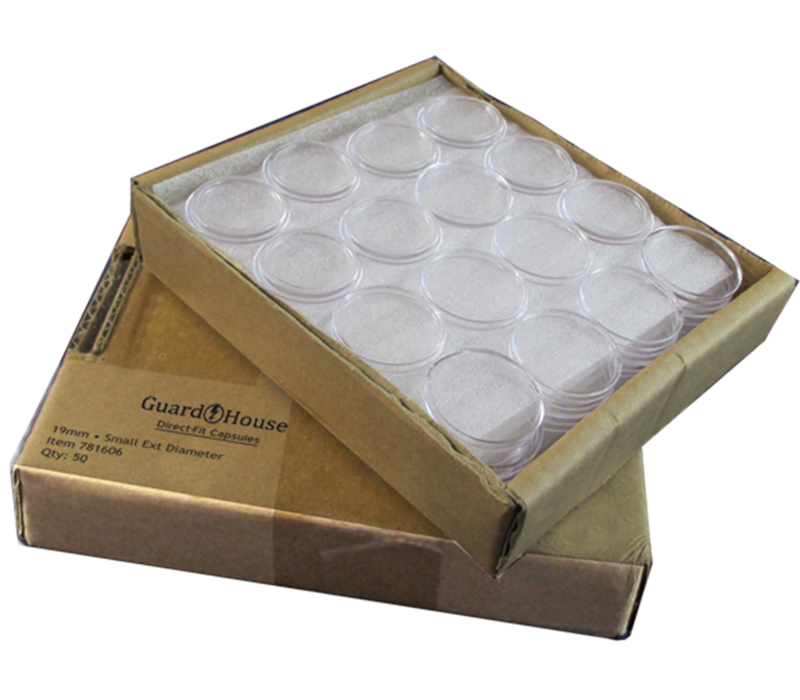 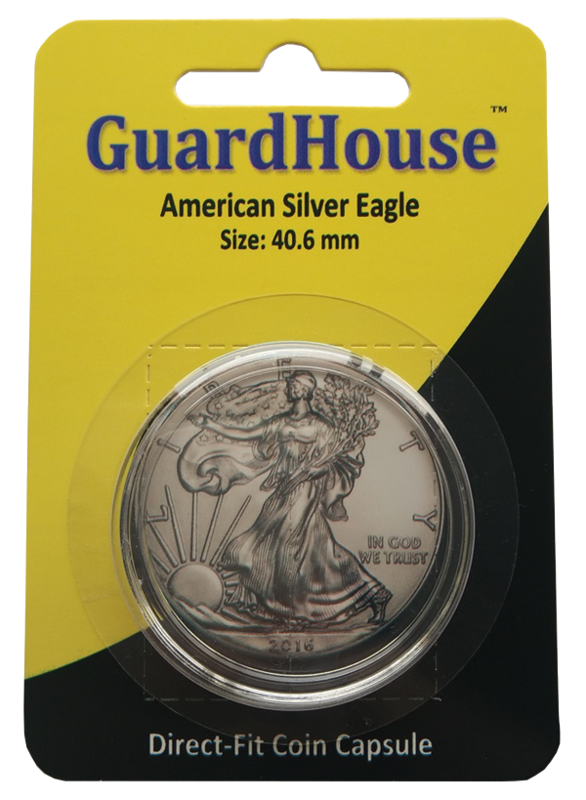 We recommend Guardhouse direct fit coin capsules as a snug, secure fit for all modern U.S. and American Eagle bullion coins. 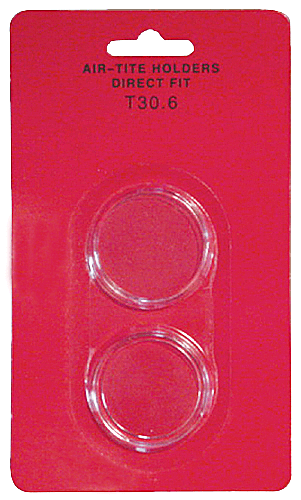 Air-Tite ring fit coin capsules are a great solution for all other odd-sized World or U.S. coins. 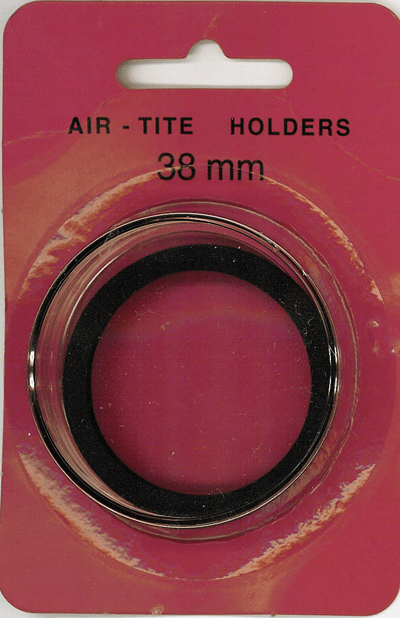 If you have coins that are from different parts of the world, such as Europe or Australia, Air-Tite ring fit capsules offer a solution for you. 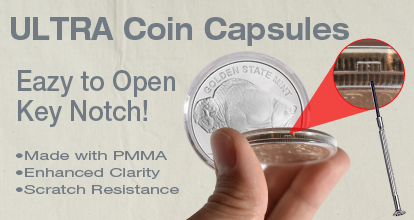 Make sure to select the coin capsule that is designed for your coin. 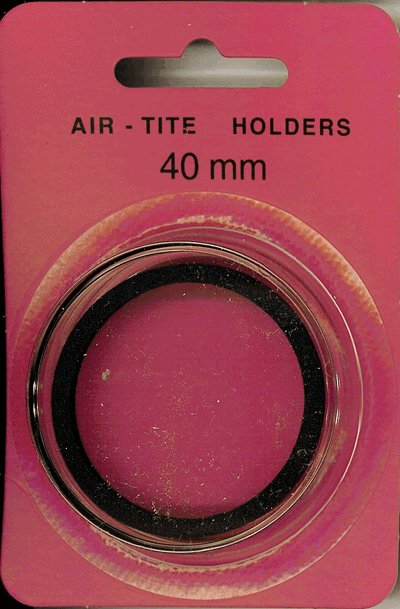 For example, an Air-Tite 32mm direct fit coin capsule is designed for a coin that is 32mm, likely a gold coin capsule holder.